Around 20 years ago, the first commercial lockbox was introduced, since then people around the globe trust it and uses it daily. The real estate lock boxes are a padlock which hangs around the doorknob of a house that is for sale. A key is locked into the container and then opened with a code that gets inputted manually. Usually the combination code selected from 3 to 7 characters. Lock boxes are used by the house owners to give access to the property agent or guest while keeping their house premises safe. The most basic use of a lockbox is that you can secure your house key in it easily and any of your guests can easily access who has the code to the keylock box without any hassles. Real estate has completely revolutionized since keylocks are introduced in the market. Clients are using this as a necessity for their homes and offices. These locks are highly complex and secure while being very easy to use; a genius behind your security and prevention from thefts and break-ins. Push button locks You can set a combination. Wheel models It has four scrolling wheels with numbers and letters to set a combination. Dial models It has a rotating dial to set a combination. Finding the right model for yourself should be balanced between the ease of use and have strength. The combination you select should not be predictable or the chances of breakthrough is very high. There is no override or reset code. Always remember your code and save it somewhere safely. The longer the code the harder for the intruder to break in, the code should be complex too. Characters can be used again, the smarter your code the better. 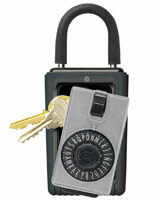 KIDDE ACCESSPOINT KEYSAFE PUSHBUTTON – This model is not a dial but can be secure if you keep the codes as random as possible, it costs $ 27.00, Holds: 2, Keys Size: 4 x 2 x 2. Supra – It provides high protection and can be used for commercial purposes, it sells for $ 25.00, Holds: 3 Keys. 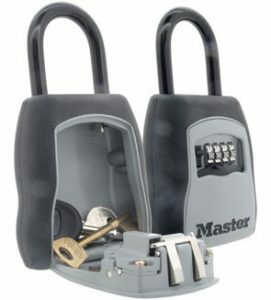 MasterLock 5400D – Even though it’s a wheel model, it’s very secure. Price: $23.29 Holds: 5+ Keys Size: 9.2 x 5.2 x 1.9 inches. The invention of lockbox changed not only but the way real estate works. Any agent can get a quick access just by taking the permission for the code. It is very helpful in a situation where you call the emergency services, for them to get in, they will surely try to break the front door which is drastic but a necessary step to do, if they have the access to the key through the keylock door things can get way easier than before also without any damage. In addition to the benefits of security, ASAP Locksmith can install a lock box for you to add versatility, that is if your building is accessed by different people or clientele then you can assign codes to them, that way those who do not have the codes will not be able to breach the security by just ‘taking out’ the key from the box, the one who wants to use the key must input the code to obtain it. The people who want access can include house cleaners, construction workers, your guests and even customers. 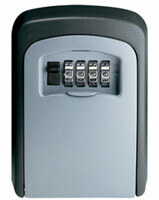 One additional benefit of lockboxes is that they grant access to guests whenever you are not available, that way the visitors will not have to wait outside or feel stranded and if you live in a neighborhood that is rife with crime then the user can find safety in the confines of your house. However, that brings us with a complaint that is more often encountered, people accidentally locking themselves out of their house because they are unable to open the box because of inputting the correct pass code. Usually this can be avoided if you leave the potential people with the correct and clear instructions but people tend to forget, a locksmith can install a more advanced form of lockbox that does not lock itself unless multiple tries of incorrect codes have been entered or a box that is able to accept an alternate code. With an alternate code, the guest can use it as a back-up or emergency key in the scenario of losing the main one. Some lockboxes are even able to tell the owner how many times the house has been accessed which Is a useful feature to get information from in the case of a robbery or any other unfortunate event. Change the locks or the code combination frequently after the access by the third party, to keep it secure. Keep the lockbox inside the building, if you are living in a building or a complex, it should be kept hidden from people’s eye. Breaking in through a lock box is very hard, they are highly secure and takes a good decent time to break in.